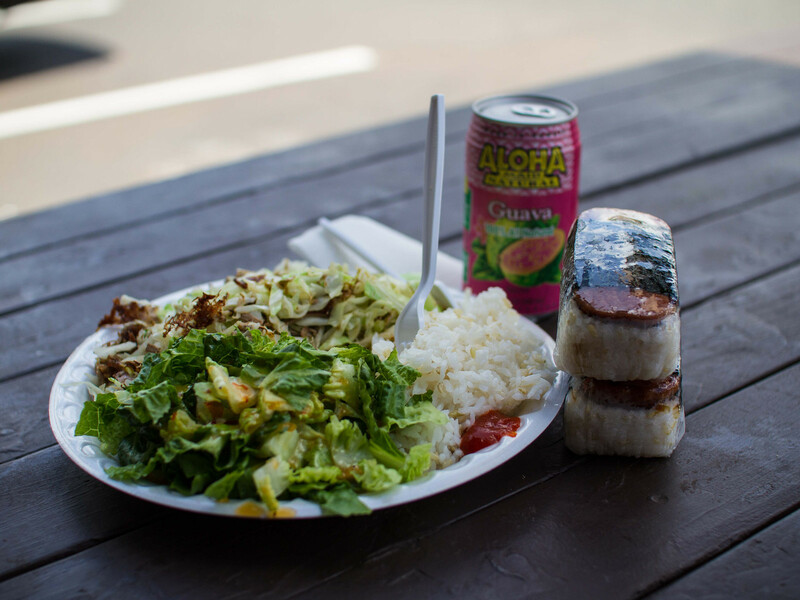 Prior to my trip to Maui, I did a lot of food research and found out about Hawaiian’s love for plate lunches and spam musubis. Local Food serves up the best of both. Of all the spam musubis I had during my 10 days in Maui, this first one set the bar high and nothing beat it. 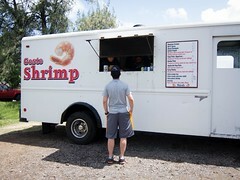 After a morning of exploring Lahaina and booking activities, we set out to find Local Food. Based on the address, I knew where it was supposed to be, but all we saw was a parking lot. The Fiance was convinced I was getting us lost until I noticed the wooden shed and hand painted sign hiding underneath an awning between two parked cars. Local Food was not the easiest to find. Stay on the East side of the street and south of the gas station. 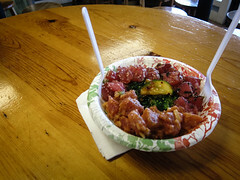 We ordered a Hawaiian plate lunch with Kalua Pork ($7) and two spam musubis ($1.50 each). $10 bought plenty of food to feed the two of us. The plate lunch came with two generous scoops of rice and a large romaine salad. 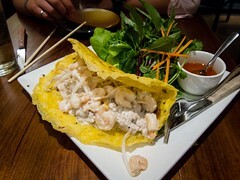 On top of the generous portions, the food was also delicious. 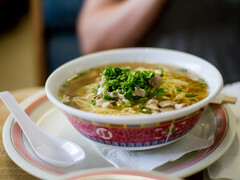 There was no skimping on the natural flavour from the pork fat and the dish was perfectly salted. Both spam musubis were still warm, had a thick slice of spam and were full of sauce. 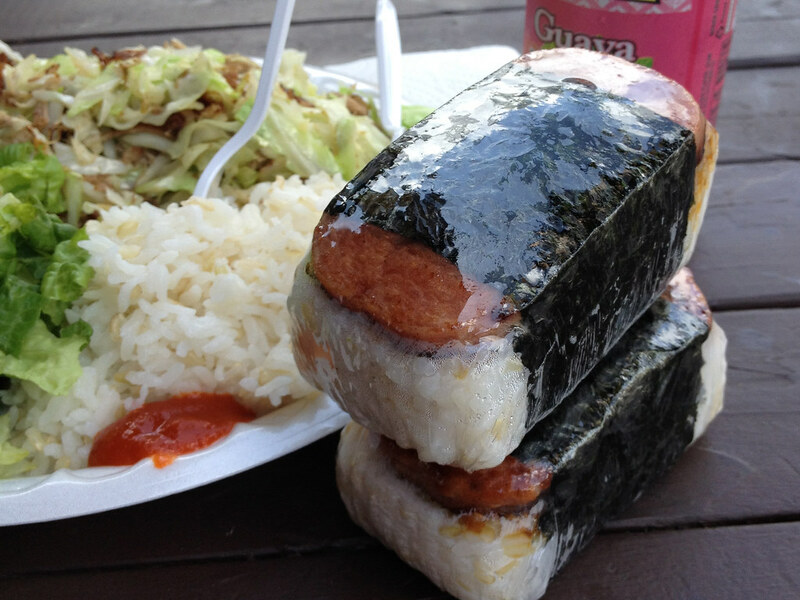 The sauce was what made these special, and the best spam musubis I had in Maui. 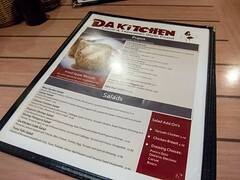 Great value, local fare and perfect for lunch. 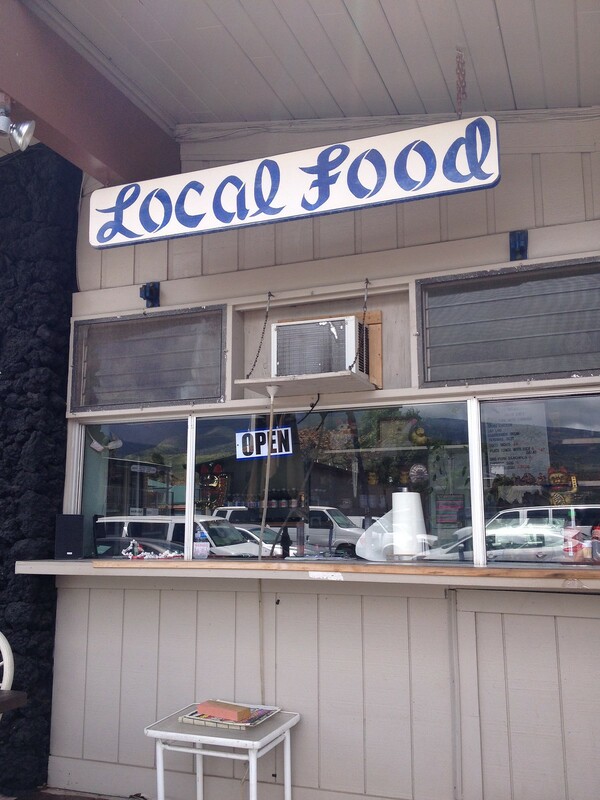 Local Food is a must visit if you’re in the Lahaina area.